What would you ask that part of you that knows the answers? Whether you call it the Subconscious, Superconscious, Higher Self or Soul, there is a part of you that understands your life from a broader perspective. It knows everything about your life, your purpose, your relationships and your health, who you are and where you came from, and loves you infinitely, because it IS you, a higher or deeper octave of you. Quantum Healing Hypnosis uses a state of deep relaxation to put you in touch with that part of yourself, allowing you to bring forth the answers to your deepest questions. It can also help you shed or heal old patterns that no longer serve you. As a practitioner, I am your guide in the process. The information and healing come from you, through you. A Quantum Healing session can provide insight into the bigger picture of your life here on Earth. Why are you here? Why have you faced your particular challenges? What are your spiritual strengths? What learning or new directions will help you accomplish your purpose? What is your purpose? The answers to these questions give meaning to life. They mitigate against despair. They provide energy to go forward. A higher perspective puts you more firmly in the driver’s seat of your life. 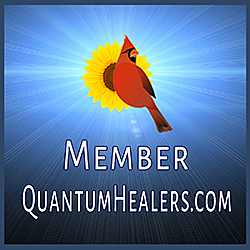 Read more about Quantum Healing on this website and others, and if you feel this would be a good thing for you, contact me (see top bar). *Quantum Healing is intended for personal self-exploration and information only, and is not, in any way meant to diagnose, treat, or cure any medical or psychiatric conditions, nor replace care provided by a licensed health care practitioner.